When you’re on the way but you’re a liar! 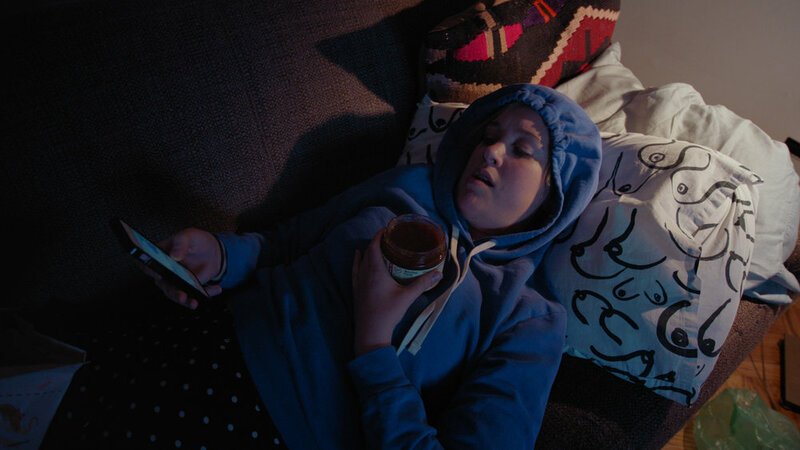 Told as a series of texts between two friends dreading their plan to hang out, “On My Way” directed by Mary Dauterman is a 90 second comedy about not wanting to leave the house. We watch in split screen as the two young women — one snacking and watching TV; the other, lounging comfortably in bed — prep for their supposed night out, “what should I wear?” “idk something cute”. 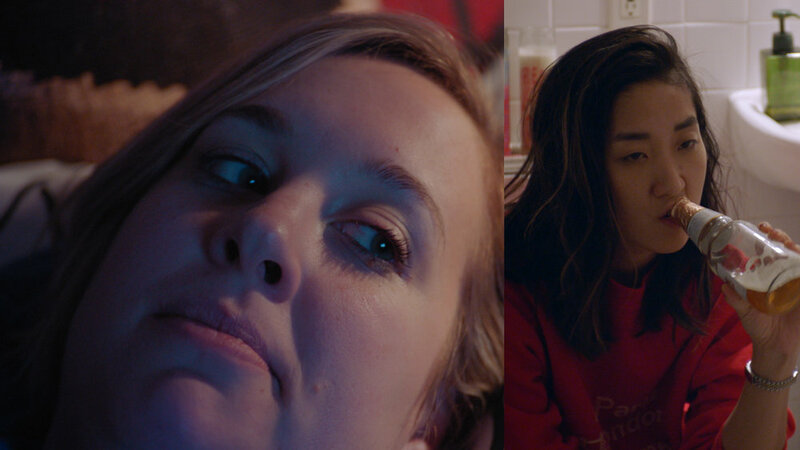 Perfectly capturing the low-key lies and excuses we employ to avoid our friends, the social maneuvering and indecisiveness on display is a telling time capsule of millennial relationships and a hilarious bit of self-deprecation. (2 minutes). Directed by Mary Dauterman. Written and edited by Mary Dauterman and Chelsea Marshall. Starring SJ Son and Jenny Donheiser. Cinematography by Kenny Suleimanagich.